Dubai’s importance as a logistics hub in the Middle East and North Africa region is underpinned by the immense volume of goods that enter and leave the emirate through land from neighboring countries like Saudi Arabia, Qatar, Bahrain and Kuwait. Trucks are always on the go along major highways that pass through the emirate and it is important to minimize downtime as in the trucking business as time lost due to the need for maintenance and repair translates into a lot of money lost. Heavy vehicles like trucks and buses need special care when it comes to oil change in view of the heavy payloads they carry and the wide range of terrain they have to tackle. 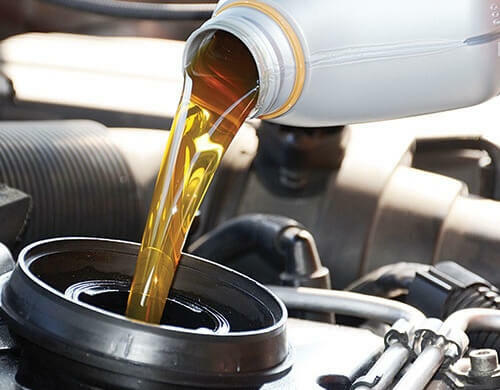 For truck or bus engine oil change in Dubai, visit a garage that truly knows the difference between the oils needed for light vehicles and heavy vehicles. They need lubricating oil that has been specifically designed for diesel engines. In addition to oil change, our service includes a thorough under chassis inspection, truck or bus oil filter change and spark plugs replacement service for truck or bus to ensure that your fleet or vehicle is in the best condition possible to tackle the long journeys and heavy loads ahead. Diesel engines need attention on a more frequent basis than petrol engines and we make it a point to advise our customers that they should use their oil dipstick at least once a week. Extreme heat conditions experienced in this region and pressure can lead to quick contamination of the lubricating oil. Hence, ensure that you always take the best care of your heavy vehicles by bringing them into Orange Auto for regular oil change services. In addition to oil change services for trucks and buses, we provide oil changes for cars.